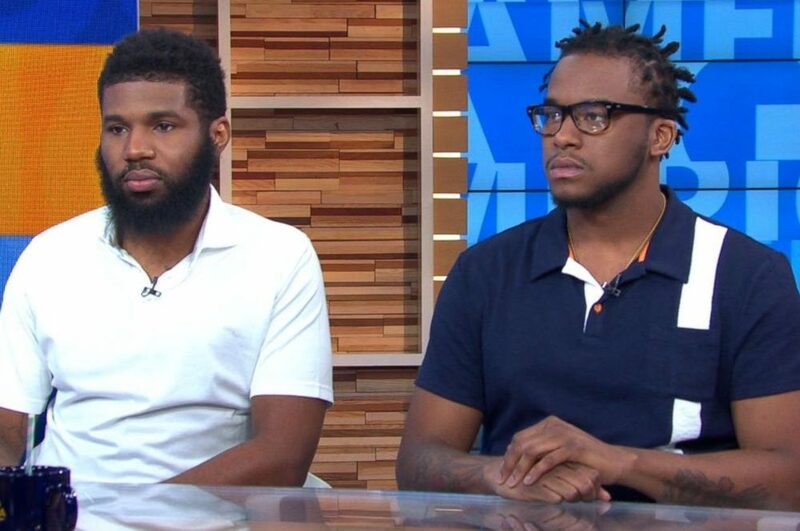 While many Blacks are “takin’ it to the streets”, Donte Robinson and Rashon Nelson went to the suites at Starbucks and are well on their way to fruition of the Business Plan of a potential real estate opportunity they’d come to the Rittenhouse Square Starbucks to discuss with local white business partner Andrew Yaffe. 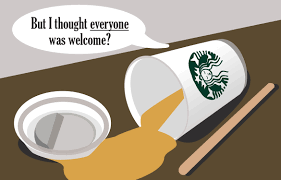 The treatment Robinson and Nelson received at the coffeehouse prompted outrage and accusations of racism against both the coffee chain and the police and galvanized people around the country who saw the exchange as modern-day racism. Under Kevin Johnson and founder Howard Schultz, Starbucks is setting an unusually good example. Polls consistently show “unconscious biases” run rampant; yet more than three-quarters of Americans don’t believe America has any race problem. Fewer Americans admit that they’re racist and need leadership to overcome the issue. It’s time Americans recognize and acknowledge what happened in Starbucks isn’t really about Starbucks as much it’s about American racism and Blacks’ and Whites’ continual denials of need for dialogue. Nearly every white in America carries an implicit racial bias that subconsciously prefers white people over blacks in social, professional and educational settings. The nation needs a national conversation about race as soon as possible. It will take a leader like Schultz to help move Americans toward genuinely talking about issues of racial bias in America’s criminal justice system, educational settings and workplace hiring. Howard Schultz has my permission to fill the breach on racial leadership as he works to better his brand’s position in the marketplace. Starbucks’ Howard Schultz has faced this drama before. In 2015, the former CEO took on race relations with a full page ad in the New York Times with a tiny caption “Shall We Overcome?” in the middle, and the words “RaceTogether” on the bottom right. The ad was an initiative Starbucks’ can use again to stabilize market position and stimulate conversation and debate about race in America. We invite Starbucks’ executives to “come this way” again. But, Howard should be cautious about primarily trying to sell the “dialogue” concept though mainstream media. By utilizing Black Media platforms this time at national and local levels, “conversations” on race could move forward. The former owner of the Seattle SuperSonics says Starbucks “is committed to making it right” and called in the NAACP Legal Defense Fund’s Sherrilyn Ifill and Bryan Stevenson of the Equal Justice Initiative to guide efforts to reduce unconscious bias. CEO Kevin Johnson’s meeting Robinson and Nelson could yield jobs for both, or toward the three getting their real estate deal. Hey Buddy!, I found this information for you: "Business Exchange: Use the Starbucks Incident to Spur Nationwide Conversation on Race by William Reed". Here is the website link: https://blackmeninamerica.com/business-exchange-use-the-starbucks-incident-to-spur-nationwide-conversation-on-race-by-william-reed/. Thank you.